Miniature animal figurines that make great birthday party goody bags! These miniature furry animals make great party favors or items for goody bags at children's birthday parties! Choose from Rabbits, Foxes, Raccoons, Donkeys, & Dogs. 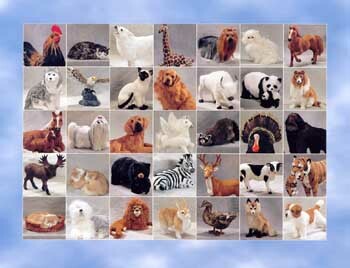 Our furry animal figurines are like a stuffed animal but handmade with rabbit fur to appear lifelike and realistic. They make great toys for kids who like to collect animals. 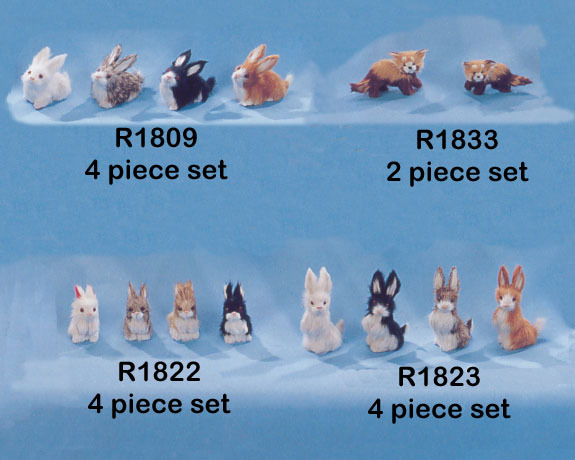 The rabbit figurines come in sets of 4 with one of each color.